Hollingsworth Jewelers Gallery is a retail jewelry store with a passion for people and community. Located in beautiful downtown Petaluma, our store reflects the casual, relaxed atmosphere of Sonoma County. 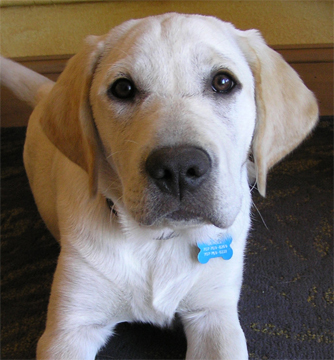 We have a professional and friendly staff ready to help you, and a Yellow Lab dog named Buhler ready to greet you at the door with a smile and a tail wag! We love getting to know our customers, and hearing the stories behind the jewelry you bring in for repairs or appraisials. 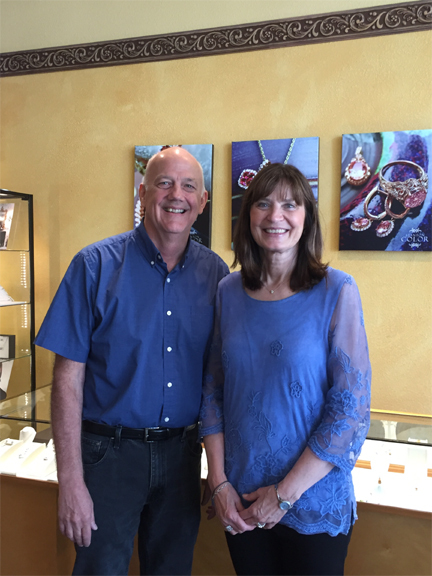 We are honored to help you to choose a special piece of jewelry for any gift-giving occasion or milestone, no matter how big or small Our Downtown Petaluma location has been a jewelry store since 1976, owned by Mike and Tammy Hollingsworth as "Hollingsworth Jewelers Gallery" since 2004. The community has voted us Best Jewlery Store for 10 years in a row! We specialize in engagement rings. We have over 700 engagement ring styles to try on and choose from! We offer custom design if we don't have exactly what you are looking for. CAD drawings and a 3D rendering will help you to visualize the finished product. Our store is also full of beautiful and unique fashion jewelry made in white and yellow gold, platinum and silver with diamonds and colored gemstones. Come in and shop for yourself or fill out a wish list for a future purchase from someone special. We'd love to meet you or to reconnect. Come in and see us soon!